The GDVLP is a pro bono program created in 1988. We are located at the Dayton Bar Association and are supported by Legal Aid of Western Ohio (LAWO). We serve as a complement to Legal Aid by registering private attorneys to provide pro bono legal services in civil case areas. The VLP does no criminal work. If you are not familiar with VLP and your first contact with us is online, we would be pleased to help you. If you are a member of the Legal community please click on the Attorney Registration if you wish to sign up to help. 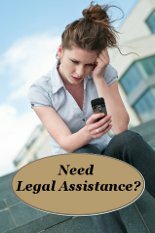 If you are looking for legal help, you must contact http://www.legalaidline.org/ and apply for assistance. Legal Aid Line can also be reached at 1-888-534-1432. Legal Aid Line does all intake for VLP. The Greater Dayton Volunteer Lawyers Project (VLP) provides innovative opportunities for attorneys to perform pro bono civil legal services to benefit persons with limited financial resources. When an attorney or other legal professional desires to fulfill his or her personal or professional calling or duty to contribute service to others, then GDVLP provides an effective bridge between that drive to serve and individuals with limited economic resources, as well as other non-profits with similar missions, needing help for civil legal issues. In serving as the preferred bridge for attorneys and other legal professionals to provide community and professional service, GDVLP provides them with innovative and rewarding opportunities that optimize their time and unique talents to use their civic influence to assure access to justice. In doing so, enthusiasm and passion for pro bono service is enhanced. GDVLP recognizes that legal professionals are compassionate, caring and dedicated, appreciating the value of pro bono service to our community, and justice system. By facilitating the delivery of high quality pro bono civil legal services, GDVLP addresses the critical issue of assuring equal access to justice. GDVLP is innovative, adaptive, collaborative, and efficient. GDVLP delivers its services with excellence and professionalism so that every volunteer's time and talent is optimized for the benefit of the volunteer, the client, the community, and the justice system. In all of its endeavors and activities, GDVLP promotes justice, fairness, dignity, respect for others, and respect for the rule of law.